Google’s new Daydream View VR headset is available starting today, and the fabric-encased, lightweight plastic Cardboard successor is a big step up, not only from Google’s first modest attempts at creating a VR headset, but also for mobile virtual reality in general. When Google debuted Cardboard at its 2014 Developers Conference, then- Google Product Chief Sundar Pichai showed off the headset made of modest materials with an insouciance that indirectly poked fun at the ambitious and expensive Oculus purchase Facebook had announced only shortly before. 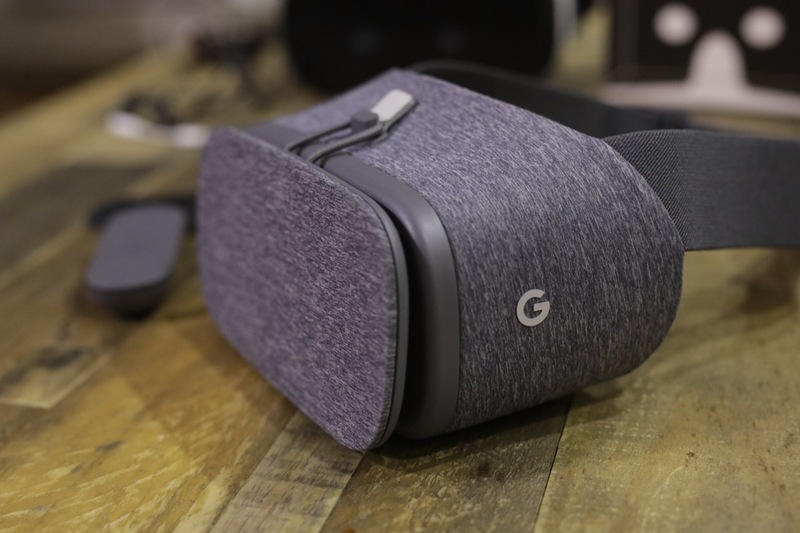 Google’s VR headset was made of about $10 worth of materials, and while many dismissed it as a toy compared to other VR hardware, it ended up providing a lot of guidance for Daydream, which is easily the new leader in casual, mobile VR. The basic premise for Daydream View is the same: All you have to do is slide your phone in and go. Google’s bottom-up approach to VR was seen as far too casual by many, but I predicted at the time that the company’s low-end look at VR would be the only truly competitive alternative to high-end offerings like the Rift. Middle ground for virtual reality is hard to find, because trade-offs for costs in the mid-range can’t make up for the huge drop-offs in overall experience. Cardboard succeeded precisely because it wasn’t really promising anything, and it basically didn’t cost anything, either. Daydream View’s price tag might boost experience expectations somewhat, but it’s still only $79 in the U.S., which is $20 less than its nearest competitor, the Samsung Gear VR. And while the higher price tag might mean people expect more, Daydream View will over deliver on the expectations of most. Daydream View is still VR’s most low-friction access point; it’s actually easier to use than Cardboard, because of the built-in head strap and bundled Bluetooth controller. But the quality of its VR experience is at least on par with Gear VR – and based on the time I’ve spent with it so far, it’s better, thanks to a more sensible VR hub and navigation elements that build on user familiarity with Android and the Play Store. 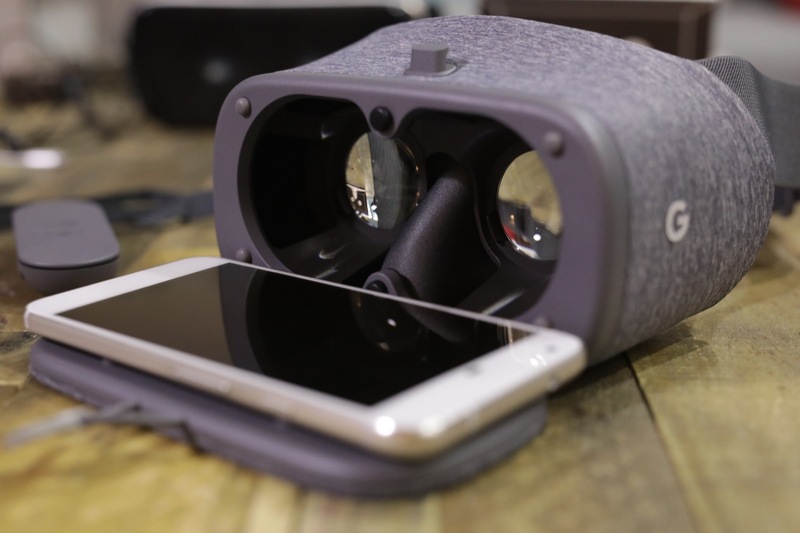 Getting it working with your phone, at least with the Pixel XL review unit provided with the Daydream View by Google, is also far easier than starting out with Gear VR, mainly because there are no cables or physical connections to make. You fold down the View’s front flap, place the Daydream-compatible phone in the headset and close it back up. You don’t even need to be careful about aligning the screen image – it detects its position and auto-aligns for a clear view through the headsets lenses. It’s a lower barrier to entry than the easiest home VR experience, which is PlayStation VR, and the bundled controller works very well for making sure there’s no confusion about how to navigate once you’re immersed. Gear VR’s gamepad support is appreciated, but out of the box, you awkwardly navigate using a touch panel on the side of the headset, which has never felt like a natural interaction mode. The library of Daydream content is a little thin in terms of titles available at launch, especially compared to the decent size of Gear VR’s available options. But Google appears to have selected for quality in terms of both first- and third-party software offerings, and the terrific native support for YouTube 360-degree videos means there’s no shortage of casual content to consume. The list of apps with upcoming Daydream support also offers a lot to look forward to in terms of things that could bring in users who aren’t sure about VR but want to get into it via familiar experiences – Netflix and HBO Go should really help, for instance. Google made a big deal about the design of Daydream View, from tis fabric exterior to its single strap design and light weight, and while it’s still definitely going to draw stares when you’re using it on an airplane or the bus, for instance, what they’ve done in terms of making it appear more generally palatable shouldn’t be underestimated. 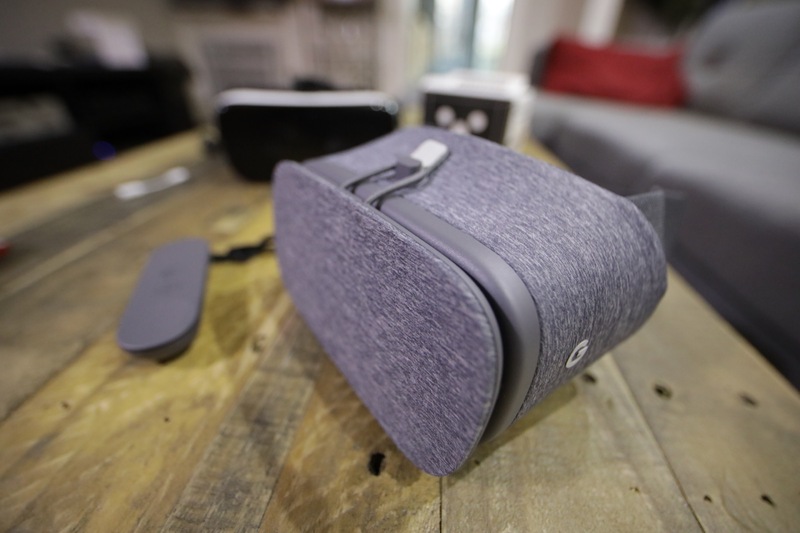 In the end, Daydream View feels like a next step, not the culminating arrival point for consumer VR. But it progresses the field in a number of very important ways – ways that mean Daydream VR is likely to be the first VR experience for significant number of mobile users, who luckily won’t be disappointed by what they find. Early VR hype gave way to realities that indicated its niche status wasn’t going anywhere anytime soon – Rift and Vive are too specialized, too expensive and too power-hungry to work with anything resembling a general audience. Latecomers have done more to convince me there’s real potential in the consumer VR market; PSVR is a seriously piece of kit for anyone who enjoys gaming, and Daydream View has the potential to impress everyday mobile users in a way nothing else out there today can hope to achieve.